The other day for fun I paddled out at a mediocre little point break in Malibu. There was a strong six foot west swell, with some good hollow power on the take offs. I used to live on this semi-private beach where I rode regularly and blasted in and out of the surf on my Hobie 18. Moving into the small take-off-zone was like cruising the black ghetto in a K.K.K. outfit. The local vibe sucked more than the waves. Some sets moved thru and everyone picked up a few waves except me. With everyone inside a set brewed and I scratched out and into position. I turned around and paddled right into the peak. As I was about to drop in, this local hero on the way out, spins around for a late take off behind the peak, and yells, “don’t drop in on me”. Of course I caught the wave and the local guy ate it. I immediately started getting the usual verbal abuse, like next time you’ll wear my board, you kook, etc. A couple more waves and I got out to the water the same time the screaming local did. I walked up to him and asked if he really understood what happened? Obviously the guy snaked himself by trying to hog the waves. All he could say was, “show respect for locals”. What he meant was, don’t get in the water, and, if you do, don’t ride any waves. Gee guys I’m sorry. I mean, I grew up in Malibu, I even went to high school with Johnny Fain, and was a founding member of the Malibu Surfing Assoc. But I’ve been out of town for a while and, well, I ahh, just forgot to have my local status card updated. I really didn’t know these were your waves. So what about respect? Not to cop my own attitude, but am I supposed to have respect for some little 10 fin, hot dog wave hog in his junk local break, when I was riding Sunset on an 11 foot gun with guys like Paul Gebaur, Barry K., Paul Strauch Jr., Phil Edwards, etc. before this guy was born? These guys had and held respect, and shared waves. I’m all for respect where respect is due, but let’s have a broad clear perspective. I’m almost 40 and 28 years ago I was riding a 9’2” Velzy Jacobs balsa board, growing up on the beach in So. California, and completely stoked on surfing. 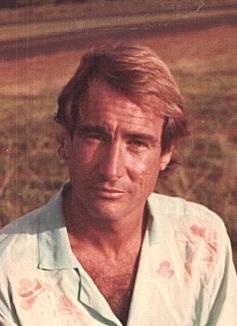 I moved to the North Shore of Oahu right out of high school in ’63 and spent many years in the Pacific juice factory. Natural progression set me sailing in the South Pacific, to ride breaks never before ridden and introduce the stoked vibe of the joy of surfing to a lot of native people. Years went by sailing in the Pacific, Caribbean, and Atlantic, seeking and finding wondrous waves. A true life adventure story where I would be so happy to see another surfer. A real respect for the ocean and elements was growing in my blood. I come back to California to find that some narrow minded, “locals own the waves attitude”, is in, along with a lot of other punk b.s.. Do you possessive locals realize anything about the open ocean and the thousands of miles of sky and freedom swells roll under to reach a shore? No one owns the waves, no one owns nothing, except maybe the opportunity to enjoy this life. Are you guys hillbilly’s or what? Share something good. You want more waves? Pool your local resources, buy some lights and surf at night. This world needs brotherhood and love. What would you be doing if there were no waves or people to vibe out? Making nuclear bombs? Figure it out brahs. Something really beautiful is going down and you may be missing out. There is a certain quality of something to respect in every human being, and every living thing I’ve ever seen. That takes in a lot. Open up. The local kid was right. SHOW SOME RESPECT.